Asymmetry® in the lack of balance or symmetry. Asymmetry is an imbalance – a skew or tilt to one side more than other. In probability theory and statistics, skewness is a measure of the asymmetry of the probability distribution. Skewness is a measure of the degree of asymmetry of a distribution. If the left tail is larger than the right tail, the function is said to have negative skewness. If the right tail is larger, it has a positive skew. If the two are equal, it has zero skewness. 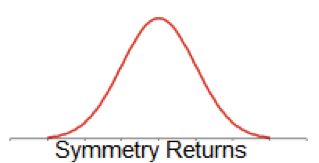 Symmetrical Distribution (Symmetry). If you split the distribution in half at its mean (or median), then the distribution of values would be a “mirror image” about this central point. Shape of the Distribution, Normality. An important aspect of the “description” of a variable is the shape of its distribution, which tells you the frequency of values from different ranges of the variable. Typically, a researcher is interested in how well the distribution can be approximated by the normal distribution (see the animation below for an example of this distribution) Simple descriptive statistics can provide some information relevant to this issue. 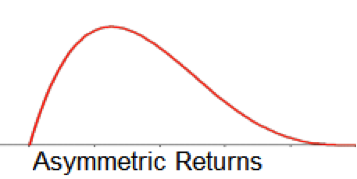 For example, if the skewness (which measures the deviation of the distribution from symmetry) is clearly different from 0, then that distribution is asymmetrical, while normal distributions are perfectly symmetrical. If the kurtosis (which measures “peakedness” of the distribution) is clearly different from 0, then the distribution is either flatter or more peaked than normal; the kurtosis of the normal distribution is 0.